Note: Contact info from 2011 may be out of date. Links may take you to a legacy website. We are grateful for the outpouring of support from alumni at this critical time. The CUAA and The Cooper Union are actively working to develop additional ways to help alumni connect and get involved. Keep up-to-date with the latest news with our online Broadcast Archive, which has recent email communications. Have friends who are not in the loop? Direct them tocualumni.com to update their email address, or contact alumni@cooper.edu. To give to Cooper, please click here. Alumni attended Target Free First Saturday on December 3 at the Brooklyn Museum for three shows featuring alumni. Curator Catherine Morris gave a talk on the late Eva Hesse (A’57), the focus of Eva Hesse Spectres 1960. This was followed by a tour and talk by Lan Tuazon (A’99), who discussed her solo show,On the Wrong Side of History. 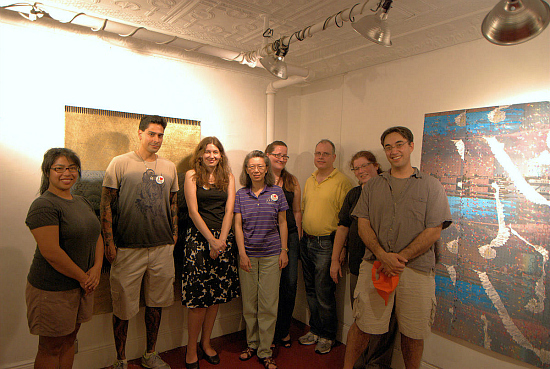 Tuazon’s exhibit is part of the Raw/Cooked year-long series of exhibits by five emerging Brooklyn artists. Alumni were encouraged to explore the museum, especially reORDER, an installation in the first floor atrium by SITU STUDIO (Sigfus Breidfjörd (AR’05), Basar Girit (AR’05), Aleksey Lukyanov (AR’05), Wes Rozen (AR’05) and Bradley Samuels (AR’05)).Continue reading and see more photos. The Free Cooper Union Community Summit, organized by alumni and featuring a panel of alumni and faculty speakers, was attended by over three hundred people in the Great Hall. Speakers were (in order of appearance): Editorial Committee Chair Karina Tipton (CE’99), Cooper Union Trustee Emeritus Milton Glaser (A’51), Ben Degen (A’98), Adriana Farmiga (A’96), Seth Messer (A’76), Che Pérez (AR’14), VP of Alumni Events Rocco Cetera (CE’99), Professor Peter Buckley, Annual Fund Committee Chair Nick Agneta (AR’80), Professor Richard Stock, Barry Drogin (EE’83), Professor David Gersten (AR’91), Kevin Slavin (A’95), Sean Cusack (BSE’98), Jason Paul Guzman (A’00), Henry Chapman (A’11) and CUAA President Peter Cafiero (CE’83). Topics addressed Cooper Union core values, institutional financials, the CUAA alumni governance structure and engagement. Brainstorming sessions on summit topics concluded the evening, led by Mary Lynch (ChE’82), John Leeper (AR’85), Eric Fehlberg (A’99), Nadia Pervez (EE’99), Sangamithra Iyer (CE’99), Jason Paul Guzman (A’00), Matthew Foster (EE’00) and Koukaba Mojadidi (AR’01). Click here for the Cooper Union Commons community that instituted the summit. Alumni joined host Colin Anton Samuel (ChE’96) to compete in zany and off-the-wall trivia categories ranging from current events to movie quotes. Teams received 40 questions in four categories and won special drink prizes throughout the night. 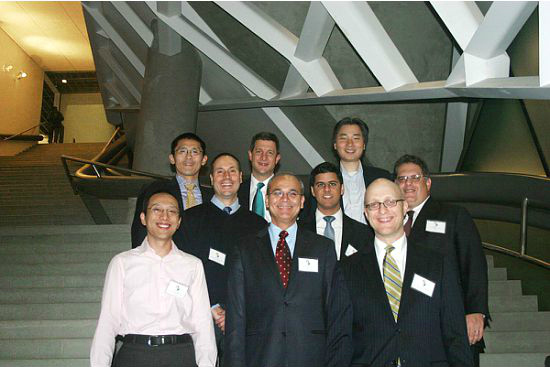 Nearly 70 alumni and students from The Cooper Union’s engineering, art and architecture schools gathered for the annual alumni in financial services event. The theme of this year’s event was how Cooper prepares students for success in today’s uncertain world. Rohan Chauhan (IE’09/MCE ’10), Frank Napolitano (ME‘88/MME’88) and Phil Weisberg (EE’89) gave remarks, describing how Cooper helped them develop strong values that have guided their lives and careers. Continue reading and see more photos. Fifteen people, including alumni and their families, enjoyed an afternoon at the Musical Instrument Museum in Phoenix, Arizona. 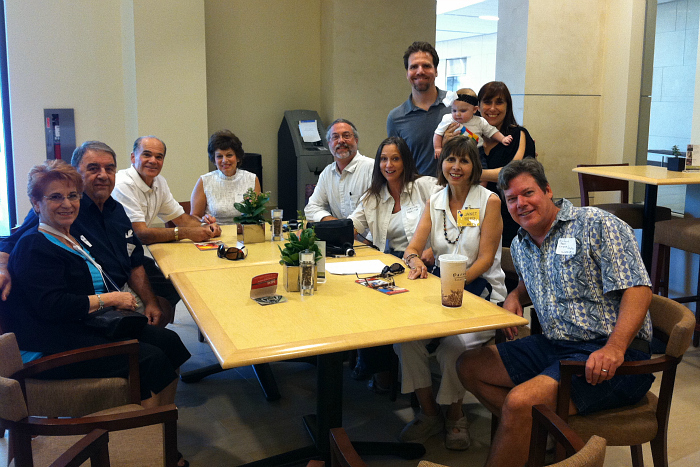 Click here to learn more about the Arizona Alumni Group. 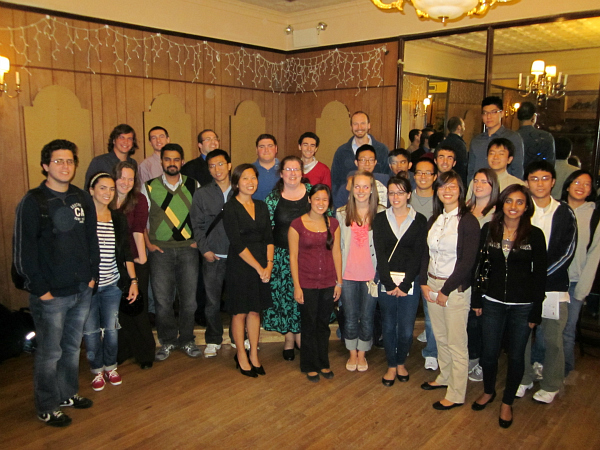 The NY Metro Section of the AICHE held its annual dinner meeting at the Ukrainian Restaurant on September 19. Read more. 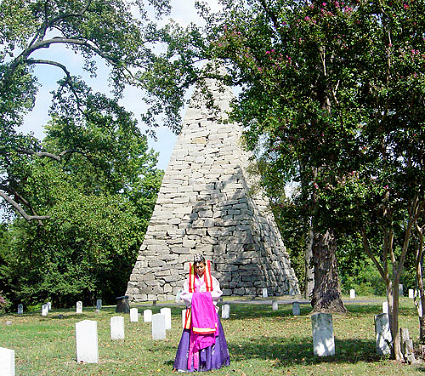 Maria Yoon (A’94) marrying the Confederate Monument in Virginia as part of her Maria the Korean Bride project. In May 22, 2011, Maria Yoon (A’94) was married for the 50th time. The ceremony in Times Square was the culmination of her Maria the Korean Brideart project, where she held a wedding in all 50 states to examine the culture of marriage and respond to the pressure on young, single Asian American women to get married. Her spouses included a 1,200 pound Angus bull, a horse, a Miller Brewery Company t-shirt, a pump jack in Oklahoma and a multitude of grooms from across the country. Her weddings became an exploration of the diversity of traditions and ceremonies that mark marriage in the United States. For more information on the project, visit mariathekoreanbride.com. ’s Plan of 1811, which established the Manhattan grid. 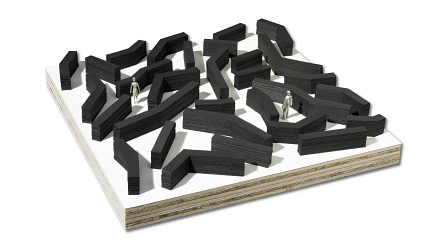 The installation will be a series of walls built up from cut layers of turf to reflect New York’s richly layered history. The Wall Project is a sponsored project of the New York Foundation for the Arts (NYFA), with critical early support provided by the Lower Manhattan Cultural Council and the New York City Department of Cultural Affairs to realize an ancillary exhibit, Envisioning the Wall. Now you can connect with Cooper Union alumni through Twitter! Follow the recently launched @CooperAlumni for alumni news and events. Recognizing the accomplishments of CU alumni, the Hall of Fame includes nearly 300 distinguished individuals. Click here to read more about featured Hall of Fame members Dimitri Hadzi (A’50), Eleanore Pettersen (AR’41) andRussell Hulse (PHY’70). In ordinary times, this would simply be a holiday greeting. But these are extraordinary times for The Cooper Union. Our wishes for a wonderful holiday come with a wish for your help for our students. 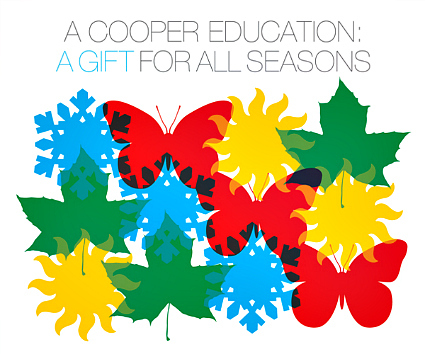 The gift of a Cooper education is more precious now than ever. Today, annual tuition is valued at $38,500. As you think about giving this holiday season, we ask you to support a Cooper education for our uniquely talented young men and women. With a contribution of $10,000, you may establish a named scholarship for a student for one year. However, all gifts are important to the institution. We hope you will participate at any level, and help us launch the next generation of leaders in art, architecture and engineering. Click here to read about the 2012 Alumni Awardees who will be honored by the Cooper Union Alumni Association at Founder’s Day. Tickets and more information will be announced soon. Exhibiting at the Brooklyn Museum through January 8.